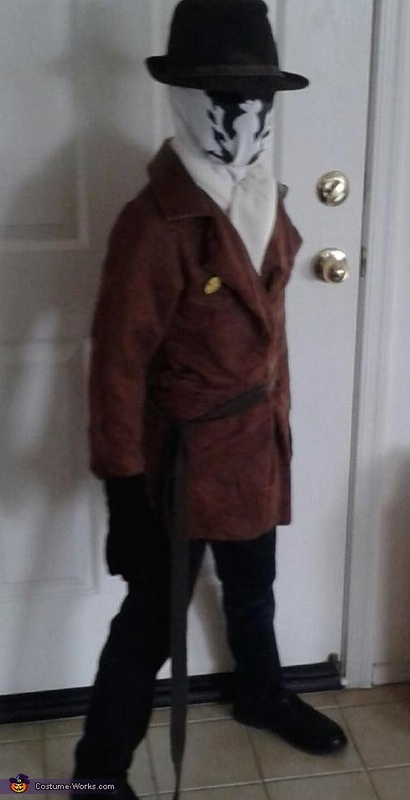 This Rorschach costume from the Watchmen is being worn by Jaden Lam (age 12). It was made using a fedora, a costume cowboy duster cut to size, a white shirt designed with permanent marker, some cream colored fabric for the cravat, a long belt strap, and a custom made smiley pin. This is a very economical yet effective homemade costume.